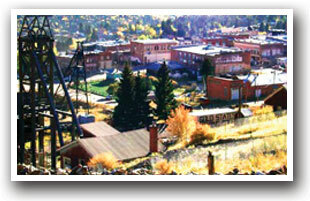 A classic mountain mining town, Cripple Creek has always been a haven for risk takers. During the 1890s gold rush, miners bet it all in hopes of hitting the mother lode. Today, the town's many casinos welcome gamblers eager to stake their fortunes on games of chance. Any vacationer willing to try their luck on Cripple Creek won't be disappointed. Besides its bustling casino district, the town is home to architectural gems, tasty restaurants and the historic Butte Opera House, showing melodramas and plays throughout the year. Several museums tell visitors about the town's mining heyday, including tales involving legendary outlaws and the ladies of the red light district. Want more? 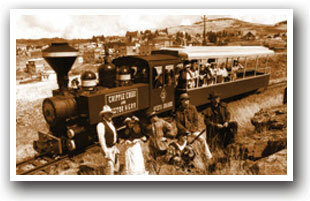 Hop on the Cripple Creek & Victor Narrow Gauge Railroad for a fun ride into nearby Victor. The town also has interesting museums and lots of gorgeous 1890's architecture, as well as gold mine tours, trails and scenic drives. Both Cripple Creek and Victor fall on the Gold Belt Scenic Byway. When you're done exploring 1890's Colorado, take a trip even further back in time. Florissant Fossil Beds National Monument is home to thousands of insect and plant fossils, petrified redwood stumps and more, dating back to prehistoric times. Check in at the visitor's center for educational films and exhibits and then wander down the monument's two self-guided trails to see and learn more. Keep your eyes out for the many different kinds of animals living at the monument!